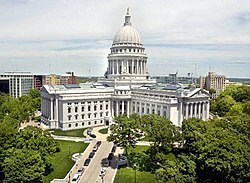 This Tuesday is our field trip to Madison. Please have your son or daughter pack a brown bag lunch and a pocket snack. This is a out of uniform day. The students will get a chance to visit the gift shops, and if they choose to, they may purchase a souvenir. Monday is an out of uniform day to celebrate Spring! Students are also allowed to wear uniform shorts starting Monday. On Wednesday, we will be having practice for the Variety show which takes place Friday night. Hope to see you there! Reading Logs are due Monday! They will not be accepted without dates and a parent signature. This week we may complete The Cay. Students are working on a variety of activities to go with this book. Once completed, they will all work on an extensive plot line for the story. We will begin this in class and they may finish it at home. The oral reports are going great! I am proud of their efforts and dedication to sharing their stories. Some kids are writing down the titles of the books they want to read…Let’s keep reading Historical Fiction!! From Newton’s 2nd law, F=MxA,, to Martian languages which we will need to get around once we get there. Robotics.! We are continuing to learn about the Age of Exploration. Explorers, navigational tools and routes have been the focus. This week the students will be sailors! They will take on the identity of an explorer in the 1500s and examine what life at sea was like aboard a ship. Leadership, work, lodgings, food, sickness, punishment, risks and rewards are aspects that we will be talking about. Since many of the explorers came from England, our Daily Geography this week will focus on regions of the United Kingdom. We have moved into Geometry. Last week we reviewed the different types of angles and used a protractor to construct them. This week we will classify triangles and learn how to calculate the inside angles. Next up, we will explore polygons. Happy Birthday to Thomas and Elizabeth!! Grammar: We continue identifying adverbs, direct objects, and infinitives. Vocabulary/DOL: We have moved into Unit 10 in vocabulary. The pages are due on Wednesday and the test on Thursday. Writing: We are working on selecting subjects for our Compare and Contrast Essay. We have outlined two was to approach the paper, and we will begin research this week. Throughout Lent, we will be reciting a decade of the Rosary once a week. This week we will gather in the church with the Intermediate classes at 11:15 on Friday and pray the fourth decade. Please join us if you can. We continue to reflect on Lent with a class booklet and bible studies.